To claim this profile, please confirm you are Connor McGovern. To follow this profile, please let us know your relationship to Connor McGovern. Connor had 3 photos tagged from the game against Boston College High. 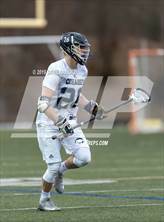 Connor has been added to the Cohasset lacrosse roster. 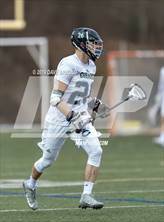 Connor was tagged in the video "Sean Farren #74 Cohasset High School." Connor has been added to the Cohasset football roster. RESULTWin Varsity football vs. Hull. The Cohasset varsity football team won Thursday's home non-conference game against rival school Hull (MA) by a score of 26-20. RESULTLoss Varsity football vs. St. Mary's. The Cohasset varsity football team lost Friday's neutral playoff game against St. Mary's (Lynn, MA) by a score of 22-11. This game is part of the "2018 Massachusetts High School Football Playoff Brackets: MIAA - Division 7" tournament. RESULTWin Varsity football @ Abington. The Cohasset varsity football team won Thursday's away playoff game against Abington (MA) by a score of 33-16. RESULTWin Varsity football @ Mashpee. The Cohasset varsity football team won Friday's away playoff game against Mashpee (MA) by a score of 37-16. RESULTWin Varsity football @ Southeastern RVT. The Cohasset varsity football team won Friday's away playoff game against Southeastern RVT (South Easton, MA) by a score of 40-6. RESULTLoss Varsity football vs. Abington. The Cohasset varsity football team lost Friday's home conference game against Abington (MA) by a score of 26-14. RESULTWin Varsity football @ Bishop Stang. The Cohasset varsity football team won Friday's away non-conference game against Bishop Stang (North Dartmouth, MA) by a score of 42-20.